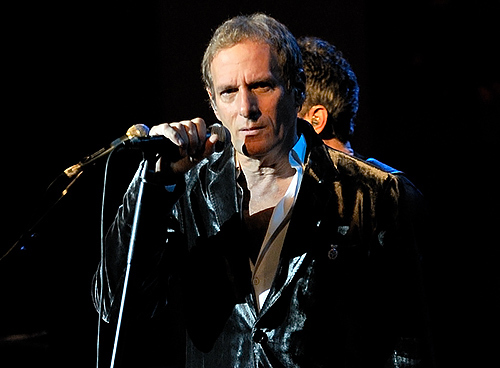 Michael Bolton performing at Barcelona’s Palace of Catalan Music, January 14, 2010. Photo by Flickr user Alterna. Available via Wikimedia, CC BY 2.0. It has come to my attention that your press has initiated a series of short books about how religious or quasi-religious themes relate “around” creative artists. But it seems that, in practice, most such “prominence” could be translated into an idiom of highbrow tastemakers valorizing artists who enjoy universal acclaim—or even a language of reproducing elite hegemonic cultural capital. 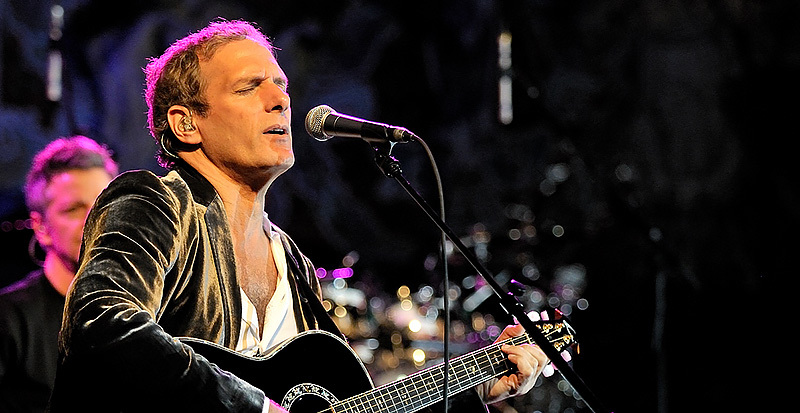 Herewith, I submit a modest proposal for a book more attuned to making the series pluralistic and representative of the everyday lived tastes of subaltern listeners: the manifold religious dimensions of Michael Bolton. 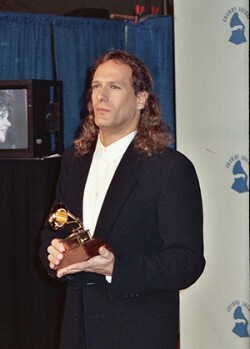 Michael Bolton at the 1990 Grammy Awards, February 1990. 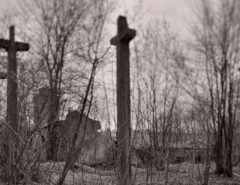 Photo by Alan Light. Available via Flickr, CC BY 2.0. Chapter Three seeks the heart of Bolton’s power, the affective transmission of ecstasy through sound. Bolton perfectly negotiates a liminal zone between two competing hegemonic pieties. On one hand, we find so-called “praise music” that transvalues the cultural capital and nostalgia of advertising jingles, Broadway musicals, and Celine Dion hits (and by the way, is it not scandalous that “religion around” has given such scant attention to Dion, as well as others such as Macklemore?). Bolton’s hooks, stage presentation, and music videos provide a ready template for artists in the praise music genre. On the other hand, Bolton’s musical stylings function as a sort of populist redescription of earlier performances in the gospel and post-gospel genres—formerly interpreted through the long-discredited categories of authenticity and rootedness in embodied self-identified “religious” communities. The final chapter is positioned within the classical strength of the academic study of religion: textual comparison. I begin this exploration by probing the construction of canonicity in the Boltonian tradition through attention to the so-called “MQ” corpus recently uncovered in the lost tapes from the 1982 Columbia sessions—the queerer parts of which, of course, were scandalously suppressed yet resonate clearly in “When a Man Loves a Woman.” I then continue by interrogating the salient intertextualities (both self-conscious and subterranean) between Prince’s “Purple Rain” (representing an earlier era of writing on art with “quality” and “aesthetic resonance”) and Bolton’s famous collaboration with Cher, “I Found Someone.” Although I realize that scholars of religion consider Prince’s innovations within gospel forms and his androgynous self-presentation to be rather old hat—and dangerously prone to reinscribe the hegemony of Christianity—still it remains instructive to understand how Bolton and Cher have been innovative and generative in their post-secular resignifications of artists like Prince, Aretha Franklin, and others who came before them. 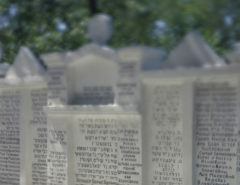 In light of all these facets of Bolton’s resonant oeuvre, their public reception through global circuits of communication, their potential to redescribe fan culture as authentic queer religio-theophanic immanent critique—and, of course, the pure transgressive (negative) pleasure to be derived from being swept up in his tradition in both canonical and non-canonical forms—in light of all this, I repeat, one can confidently conclude: Michael Bolton can stand as a major (secular) deity of (post)secular era, and his sadly understudied cadre of listeners as one of the more promising emergent forms of lived (non)religion. 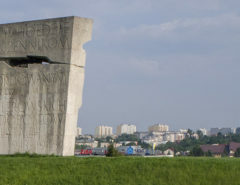 Mark Hulsether is Professor of Religious Studies and Director of the Interdisciplinary Program in American Studies at the University of Tennessee whose research centers on the connections between culture, and society in recent US history. He is author of Religion, Culture, and Politics in the Twentieth Century United States (Columbia University Press 2007) and Building a Protestant Left: Christianity and Crisis Magazine, 1941-1993 (University of Tennessee Press 1999).